When planning a business event, you want to ensure an equal amount of professionalism and fun. This helps create a memorable atmosphere. To help guarantee yours is a hit, Royal Entertainment, one of the top event entertainment companies in South Hackensack, NJ, has shared their top tips. Some people believe themes are reserved for birthday parties. However, your business event needs these guidelines as well. This could be as general as deciding on the overall feel of the atmosphere. Perhaps you prefer your guests to feel motivated and enthusiastic with bright colors to match the energetic speakers. Or, you can be as specific as designing a New York City style event. The food, décor, venue, and entertainment will allow fall into this common thread. Music is a universal language with the ability to coerce your emotions. Help solidify the atmosphere by hiring a professional DJ. If you want to keep the vibe professional, opt for an instrumental or piano playlist. If looking to add energy to the room, you may prefer a more up-beat tempo. Communicate with your DJ about your expectations and have them give you a sample of their choices. Remember, the goal of your business event is to network and communicate. Keep audio levels low enough to not be a distraction. When stomachs are empty, the mood goes down. Ensure your guests are well-fed and kept happy by hiring a catering service. Many event entertainment companies provide an in-house service. This helps ensure quality and affordability. Upon hiring, consider how long your event is going to last. You may need a lunch menu or snacks for guests to pick on. When choosing food options, consider special diets, such as vegetarian and gluten-free options, so everyone can enjoy. 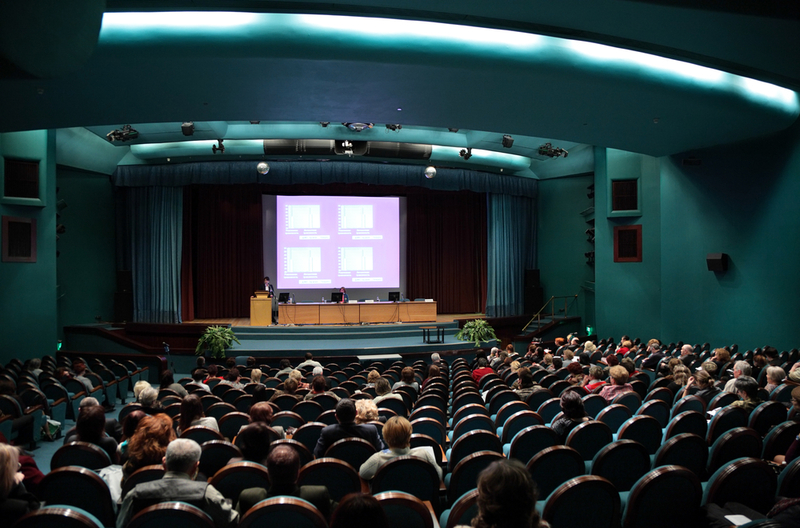 Follow these simple tips when creating your upcoming business event. If you’re looking to hire a party planner for the details and rent a DJ and photobooth all in one place, trust Royal Entertainment. Located in South Hackensack, NJ, they are one of the leading event entertainment companies in the area. In 2017, they won the WeddingWire Couples' Choice Award. Whether it’s a sweet 16 bash or a professional affair, this party planner can do it all. For more information visit their website or call (973) 826-7011 today.